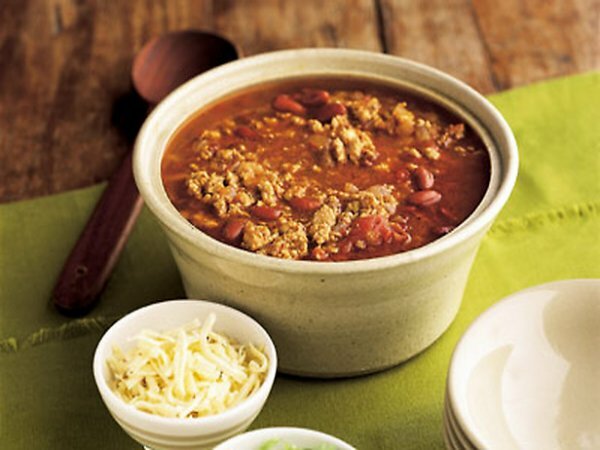 A delicious, classic chili with beans, herbs, spices, and beef. Serves 10. Cook meat over medium-high until evenly browned. Drain and put aside. Combine all of the ingredients in to a large pot. Bring to a boil, then immediately reduce the heat and let simmer for one to one and a half hours, stirring regularly.